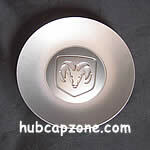 Free Shipping On All Dodge Durango Hubcaps, Wheel Covers, Center Caps - Best Value Dodge Durango Hubcap. 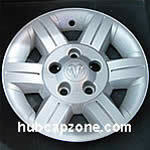 Factory and aftermarket hubcaps, replacement new and used hub caps & wheel covers. With the largest Dodge Durango hubcap inventory we will almost always have your hubcap available to be immediately shipped to your door. If we do not have your hubcap we have an extensive database to pull from and can normally locate it. I received the two hubcaps for the 1992 oldsmobile that I ordered from you, and the look of my daughter's car sure has improved. It was a pleasure doing buisness with you. You were helpful and friendly, and I wish you much success. Ann H.
I received my new wheel simulators from your online store and wanted to let you know how pleased I am with them. The arrived much sooner that I thought they would and were in perfect shape. I'm very pleased with the design for holding them in place. They really dressed up my Motor home. Thanks again for your quick shipment and for carrying such a high quality product. I'll be sure to let others know where I ordered them from. Verl K.
Just wanted to thank you for sending me a '96 Tacoma Wheelcover recently. Sorry to be so late with the thanks. Better late than never. You did a great job. I got it, in good condition and am delighted. 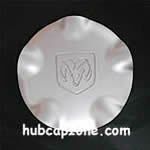 Bud K.
The hubcap arrived today in perfect shape. Thank You for a smooth purchase. Gerald G.
I have the hubcap and it's installed. Looks great. Thanks for a super and very professional job all round! I will recommend you to others. Also, don't hesitate to use me as a reference if needed (which is probably very unlikely!). William F.
I just wanted to say thank you for the products and service on my recent order. 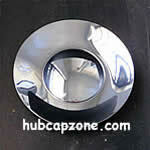 I purchased a set of 14" Ford GT trim rings from you and the fit, quality, price and service were all very good. I have passed this along to some of my acquaintances who may also be interested in your products. Alfred B.
great service from your company. I ordered a hubcap last week and it was delivered to my door the very next day. I was impressed. good work, guys. 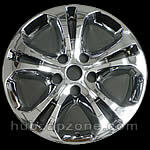 Judy P.
Just wanted to tell you thanks for my recent purchase of hubcaps. You delivered exactly what you represented in a timely manner and I appreciate it. Its time in this country to get back to basics and everybody stop trying to screw everybody else. Thanks Again. 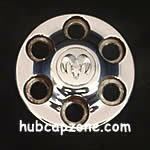 Jeff H.
My wheel center cap arrived on time and it was just what I needed. Thank you. Great company and great experience. I will definitely be telling my friends about your company. Ed C.
I would like to thank you for the VERY NICE wire-hubcaps for my Lincoln Mark IV, 1973. Excellent! Anton R.
Just a few words to say, Thank you.A while back I requested a H3 Hubcap from you, and within 48 hrs I had it in my hand, you made my wife a believer in my internet skills and a happy camper. George W.
The goods arrived on June 27th in perfect shape. I highly recommend you to all in the marketplace! Best regards. GW H.